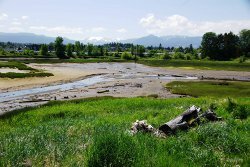 In 2014, the Comox Valley Project Watershed Society began discussions with Interfor Corporation who own the site and ascertained that they were open to and supportive of a conservation solution for the land. 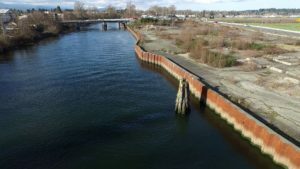 Early conversations with both the K’ómoks First Nation and the City of Courtenay confirmed that Project Watershed’s proposal to purchase and restore the land was possible. While Project Watershed is recognized internationally for its freshwater and marine stewardship, restoration and science capabilities, it does not hold title to land. 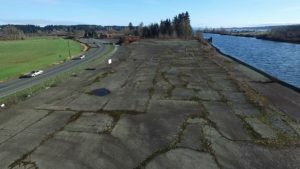 Both the K’ómoks First Nation and City of Courtenay have stepped forward by agreeing to take on the role as landowners, once the acquisition is complete. The K’ómoks First Nation’s interests in the site span millennia. In ancient times, the site was just across the river from a village called Kus-kus-sum. The property itself was used as the final resting place of K’ómoks ancestors. 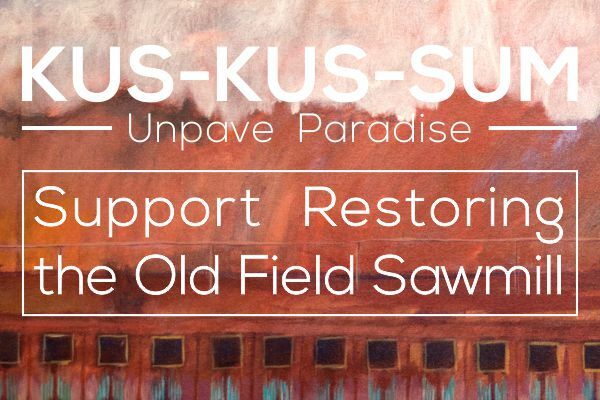 After consultation with the Nation, the name Kus-kus-sum was chosen as the new name for the property. Chief Nicole Rempel and Band Administrator, Tina McLean have joined the Project Watershed negotiating committee alongside Ennis and Project Watershed Directors Bill Heidrick and Don Castleden. 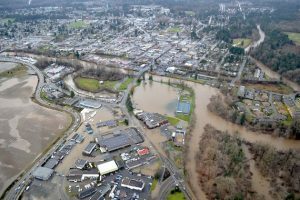 The City of Courtenay stands to gain significant benefit from the project including the attenuation of flood impacts that will come from the restored site’s ability to absorb floodwaters. In June 2017, Council unanimously supported a motion agreeing in-principle to share in ownership of the property alongside KFN. “The City of Courtenay’s Council and senior staff, have been incredibly supportive of this project, and we are certainly grateful for this support,” stated Bill Heidrick, Director for Project Watershed. Project Watershed is committed to restoring the decommissioned site with a view to returning the site as much as possible to its natural state, preserving it for future generations. 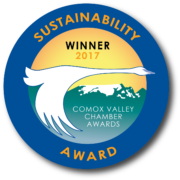 “We have been successful at securing funds from federal, provincial, private and international funding agencies to support the conservation and sustainability of many vital areas in and around the Comox Valley. 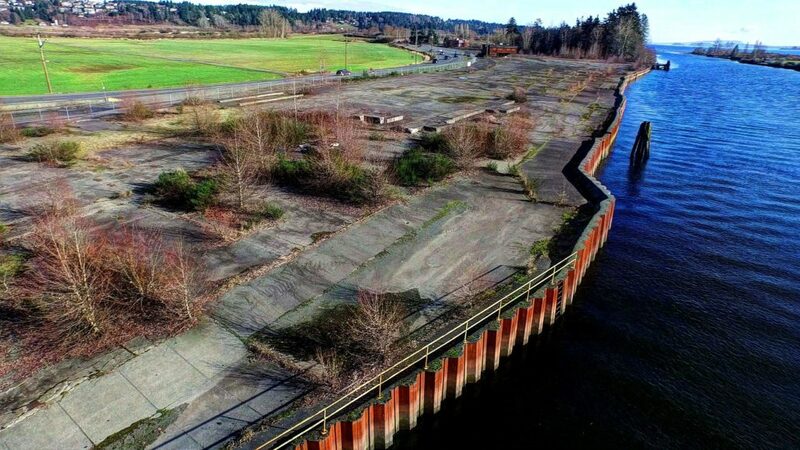 We are confident in our ability to protect and support this site’s ecological integrity once it is rehabilitated,” stated Dan Bowen, Technical Director for Project Watershed. “Over the next several years, by submitting grant applications, and obtaining contributions from local businesses, residents and service groups we will bring together the resources needed to achieve this vision. It will be a total community effort”, states Project Watershed Treasurer Brian Storey. Project Watershed Director Kathy Haigh, and Chair Paul Horgan are heading up the fundraising committee. “Ultimately, we seek to un-pave a parking lot and put up a paradise”, says Haigh. “We have established a local fundraising target of $500,000 towards that end, and hope to bring in the balance from Provincial, Federal, international, corporate and other private donors”. Interfor should be responsible for cleaning up the toxic mess that they created on that site. It doesn’t make financial or ethical sense to PAY for toxic land that taxpayers again will be left to foot the bill (through donations or city taxes) to clean it up. What is the cost of acquiring toxic land anyways? Everyone wants the area restored, but why should citizens pay the bill for the damage corporations have left? A huge part of the 6 mil budget I assume is to pay for clean up in what is clearly a sensitive area. Thanks for your interest in this project. The site has a certificate of compliance. It has met the standards for residential land soil use and marine aquatic life water use – this is the highest level of certification a site can receive. Remediation work, where necessary, was paid for by Interfor during the certification process. All of the information we have reviewed indicates that this is not a contaminated site. While removing soils will be a part of the work we do, it is not because they are contaminated, it is because we want to re-contour the site so that it slopes slowly up to Comox Road. A large part of the budget will instead be used to remove the concrete (unpave the site). While this project will be a major undertaking due to the funds and time it will take, we are pleased that Interfor has chosen a conservation solution over selling for industrial use. As the site is zoned industrial another buyer would not be required to remove the concrete or do any other remediation. We’re delighted with this outcome. To us, it’s the ideal solution for all stakeholders, in so many ways. Congratulations to the Komox nation, Project Watershed and City of Courtenay. Hope the funding supports will readily align with this very welcomed news. This is a wonderful outcome for the whole community and our natural environment. Congratulations! Another wonderful Keeping it Living environmental restoration for the future! Congratulations! We’re all up for making it happen.